Proctor Alumni: Holy (Cross) Connection, Batman! Dozens of Proctor alumni go on to compete at the collegiate level each year, in fact over the past four years, roughly 20% of each graduating class has continued their athletic career at the NCAA Division 1, 2, 3 or club level. Occasionally, Proctor teammates have the opportunity to be collegiate teammates, but rarely do we see a confluence of Proctor athletic talent at the same institution like we have at College of the Holy Cross this year with seven former Hornets playing Division 1 varsity sports for the Crusaders this year. 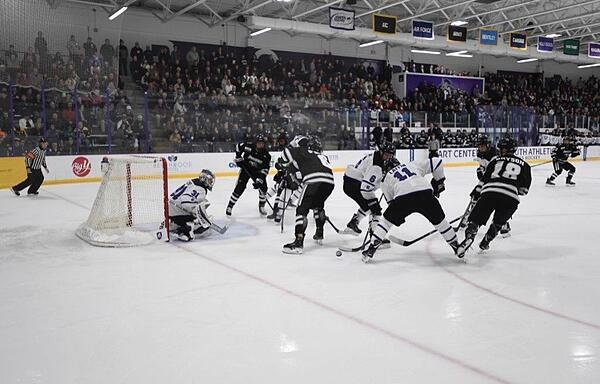 The College of the Holy Cross enrolls roughly 3,000 undergraduates, yet competes at the Division 1 level in the Patriot League. When Lexi Tilton ‘16 committed to play Women’s Field Hockey for the Crusaders in the fall of 2015, she unknowingly started a now well-worn path from rural Andover, New Hampshire to the hilltop of Holy Cross' campus in Worcester, Massachusetts. 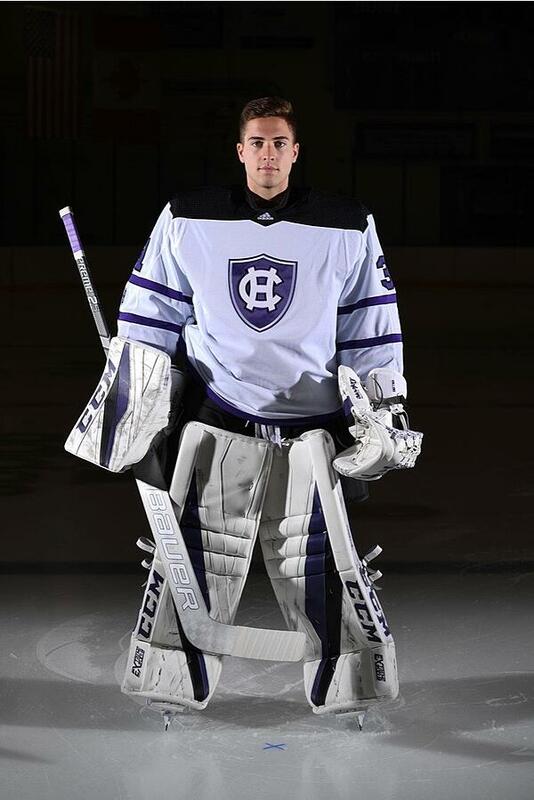 At the same time Lexi began her career at Holy Cross, Beau Collins ‘15 decided to attend Holy Cross with the hope of earning a roster spot on the Men’s Ice Hockey team as a goalie (a position he finally earned this past year as a junior). Collins’ former teammates Jake Pappalardo ‘16 and Matt Slick ‘17 joined him on the roster this year after Jake transferred from the University of Maine following his freshman season and Matt competed in a year of Juniors hockey. While he did not know two of his Proctor classmates would eventually arrive at Holy Cross as well, Caleb Green’s ‘17 recruitment by the Crusaders landed him in the purple and black as well. The starting point guard for the Crusaders since he stepped foot on campus as a freshman, Caleb’s face greets you upon walking into the Hart Center. 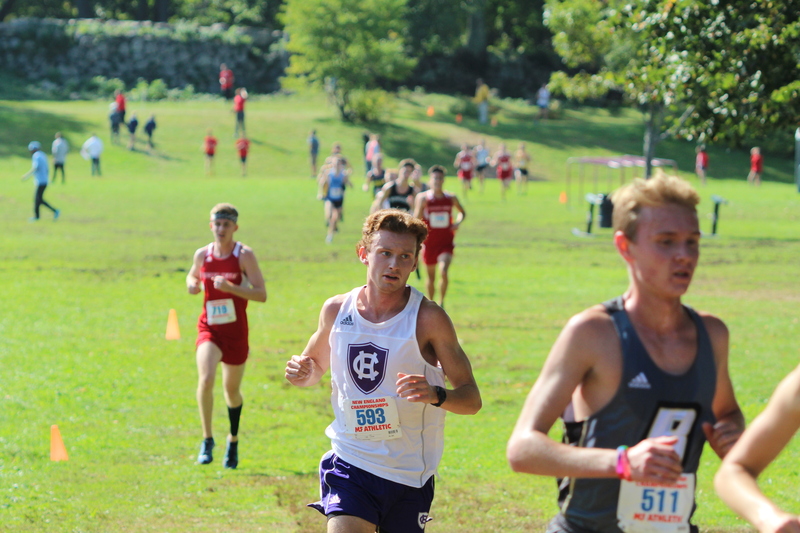 This past year’s graduating class saw two more Hornets commit to Holy Cross as AJ Fox ‘18 steps into goal for the Crusader’s Men’s Lacrosse team this spring and Jon Tilton ‘18 earned a spot on both the Men’s Cross Country and Track and Field teams this year, following in his sister’s footsteps to Holy Cross. Seven Division 1 Hornets, each working as hard in the classroom as they are in their respective sports, and making every home game a mini-Proctor reunion as they support each other. Read reflections from each of our alumni playing at Holy Cross below. 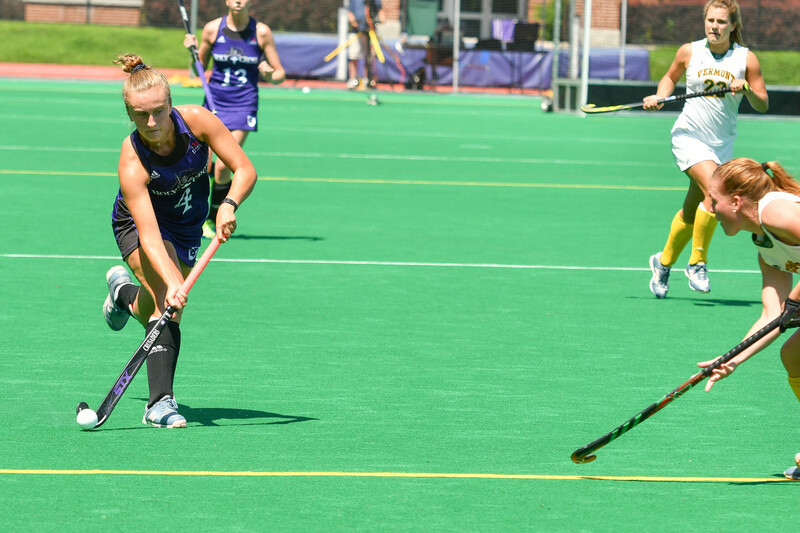 "Proctor laid a strong groundwork for me as a student-athlete on the field hockey team at College of the Holy Cross. Unlike some other girls in my class, I started our first preseason already knowing how to lift and having been familiar with weight rooms. The running I did at Proctor for the field hockey team actually mimicked one part of the run test we had done our freshmen and sophomore years here on the Hill. It definitely gave me one leg up and I was more prepared for the fitness requirements our coach had for us. Proctor, being such a small community, definitely made me much closer with the girls on my team than I would have been had I gone to my public high school. 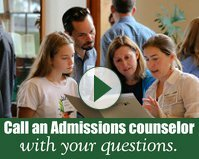 I felt well-prepared for college coming from a boarding school and already being used to the feeling of being away from home— my transition to Holy Cross was definitely smoother because of Proctor." Read more about Lexi's career at Holy Cross. "The transition into any college can be difficult especially for a student athlete. My personal transition had some bumps in the road for sure, but coming from Proctor I had created great study habits and when the academics became overwhelming I fell back on those habits and that helped me a lot. From an athletics standpoint, I was used to playing a sport every season and everyday due to the standards held at Proctor, so going out to practice everyday and competing had become normal to me. Although the level of competition increased when I arrived here, I felt prepared for the intensity of the commitment because of my time at PA. It’s cool to see so many of my friends from Proctor continue their athletic careers here at Holy Cross. I see all of them around campus, in classes, and we all show our support for one another especially when it comes to showing up at the games. I see a lot of familiar faces in the crowd when I step on the court and that’s an awesome feeling." 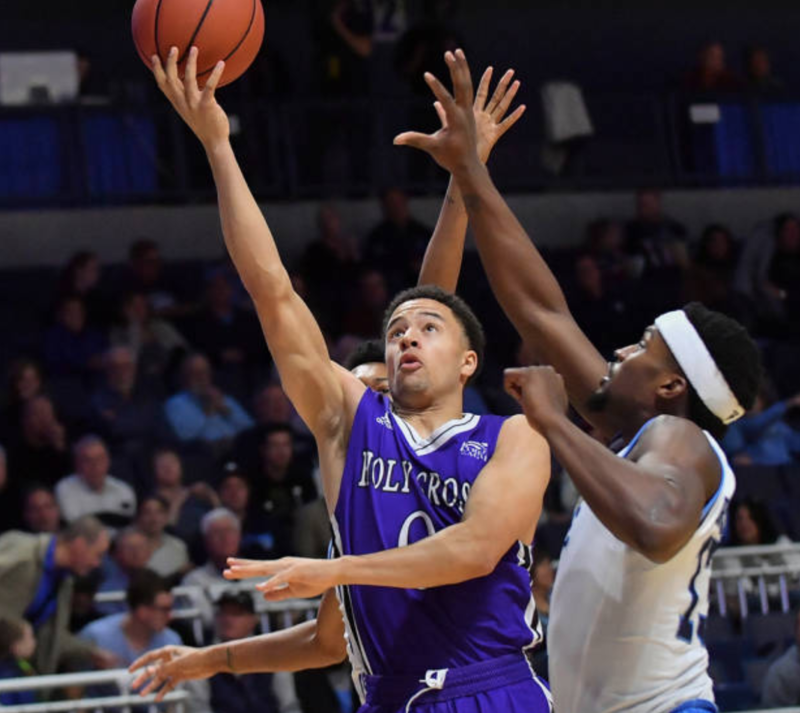 Read more about Caleb's career at Holy Cross. "After a year and a half of pursuing a walk on opportunity with the men’s hockey team, I was lucky enough to officially earn a spot on the team beginning the fall of my junior year. 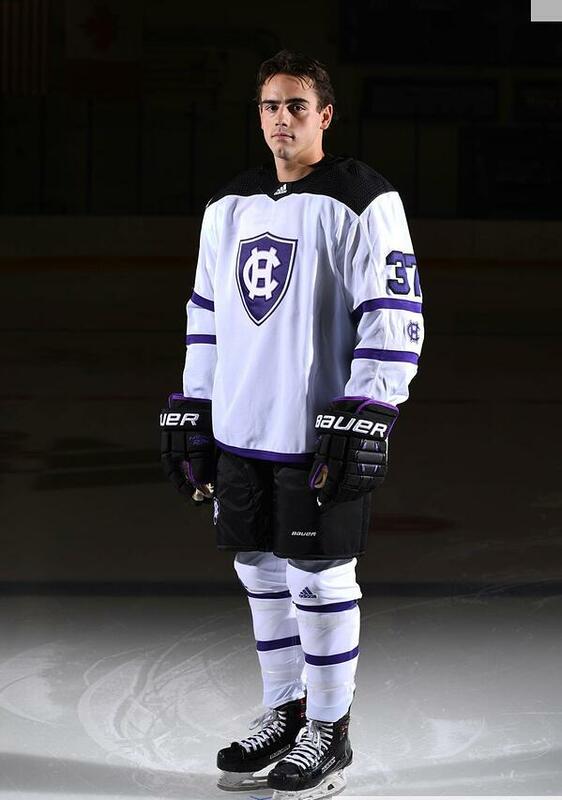 Having the opportunity to both play Division 1 hockey and receive a high quality education is a dream come true and I attribute much of my success here at Holy Cross to Proctor and all of the people who played a role in my growth and development as a student, athlete, and person during my time there. Seeing familiar faces in Caleb, Jon, Lexi, and AJ on a daily basis as well as being blessed with the chance to suit up with Jake and Matt everyday is definitely something special. To have known them back at Proctor and to now see how much they all have accomplished makes me proud to be yet another Proctor alumni here at HC. 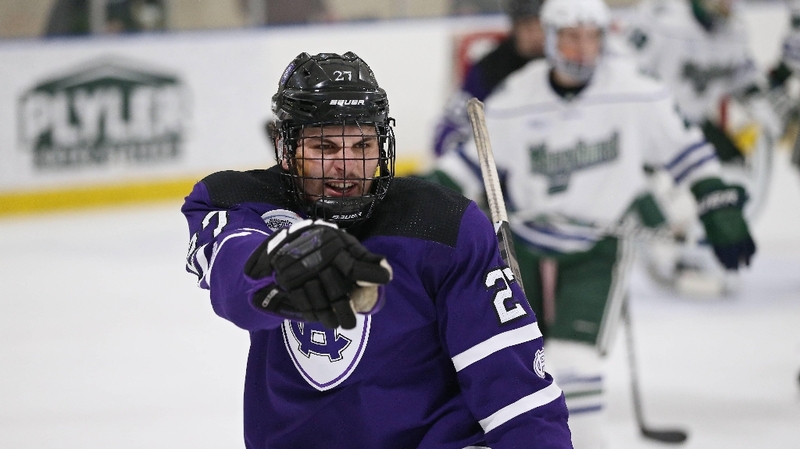 They are all incredible people and have all found success here in their respective careers and I’m looking forward to seeing all that they accomplish during their time here at Holy Cross." Read more about Beau's career at Holy Cross. “I chose Holy Cross because of the opportunity it provides to be successful in both athletically and academically. My experience has been unbelievable so far, and I’m very excited for what’s to come over the next four years. Seeing all my fellow Proctor alums on campus is really cool because we all have a connection. Everybody roots for each other and supports one another." Read more about Matt's career at Holy Cross. 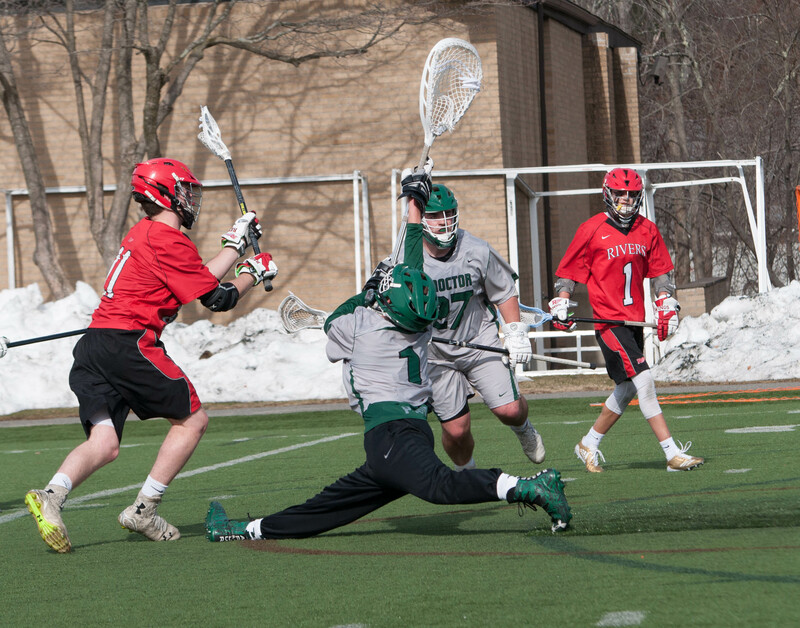 "Holy Cross reminds me a lot of Proctor - high expectations in both the classroom and athletics. It’s great to see so many Proctor alumni in various sports here at Holy Cross. To be able to play with Matt and Beau again, that is pretty special. We were able to play two seasons together at Proctor, and shared some great memories on and off the ice. These next two years here will be equally powerful I’m sure." Read more about Jake's career at Holy Cross. "I had Holy Cross in the back of my mind as I looked for a college after visiting and seeing my sister’s experience there. It had that special “Proctor feel”. 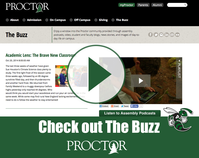 I loved the small, tight-knit community of Proctor and that was what I wanted in my next school. At Proctor, I discovered a love for running through cross country and track under coaches Sarah Daney, Ross Young, Scott King, Erik Cole-Johnson, and Peter Steese. My passion for running has grown even more since first stepping foot on Holy Cross’ campus in August. Being a part of a division one cross country and track program has been amazing. Life as a student-athlete is demanding, but it is always refreshing seeing Proctor alumni around campus. Going to hockey, basketball, field hockey, or lacrosse games and cheering on fellow Hornets is a feeling that’s second to none. All of us support each other and I am grateful that Proctor has prepared us to compete for Holy Cross." Read more about Jon's career at Holy Cross. "So far my experience here at Holy Cross has met and exceeded my expectations. I love everything about it here and love seeing fellow Proctor alumni everyday. I was initially drawn to Holy Cross for its academic reputation and outstanding alumni network. After interest from the lacrosse coach, and a few visits I soon fell in love with this special place. It wasn’t until I got here that it actually set in on how many Proctor alumni actually attend Holy Cross, and all of which play a sport. It has been incredible to watch my fellow Proctor classmates transform into competitive Division 1 student-athletes while taking some classes with some of them along the way. I look forward to what the next four years has in store for me here at Holy Cross and am eager to meet future Proctor graduates here at Crusader Nation." Read more about AJ's career at Holy Cross.